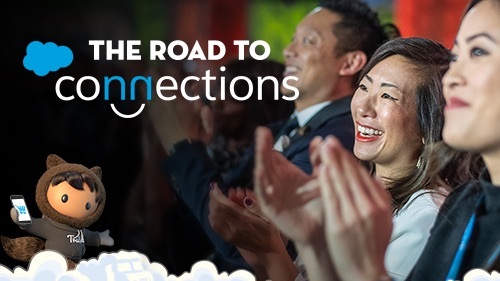 Sure, you're attending Dreamforce to learn and be inspired. But you're also excited to network with your peers and explore San Francisco at some top-notch parties. The Apttus Dreamforce Party Calendar. 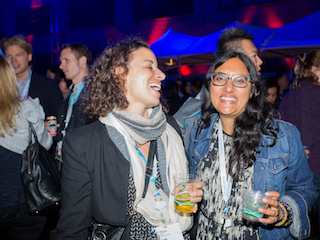 Apttus put together this comprehensive list of Dreamforce parties and links to register. The Partyforce app is created by DoubleDutch and updated each year. It's the unofficial app guide to the Dreamforce party scene. Check to see if your party of choice has an RSVP option. If it does, you'll save yourself the hassle of having to register at the door (or worse, being turned away due to the space filling up). 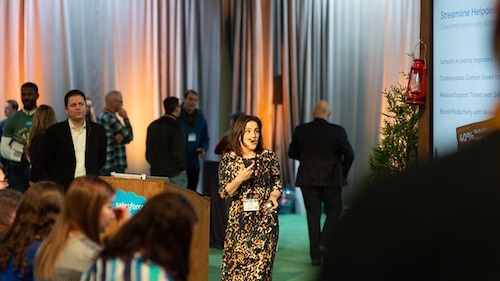 Dreamforce party veterans recommend arriving early to your highest-priority party. You'll have a much easier time getting a drink, finding a seat, and securing a snack if you don't wait until the place is packed. (And trust us — most of the parties will be packed.) Many parties will offer appetizers, so if you have a party you're really sold on, head there early and eat dinner after. 3. Meet some new people. It's easy for the time to pass by if you're at a party with people you work with. But Dreamforce brings innovative professionals together from all around the world. We guarantee that you'll meet other likeminded folks with whom you have a lot in common — if you go out on a limb and say hi. So try to meet at least a few new people as you attend each party. You have plenty of options when it comes to parties. Looking for a hint? These are our top picks. Details: "Grab your glamping gear and join Outforce, Allies, and our Partners for some fun and community at Camp Outfierce! Outfierce is Dreamforce's 6th annual LGBTQAI party, and this year's honored nonprofit beneficiary is The Trevor Project. The night will feature fierce music, festive cocktails, and a few surprises. #DFWelcomesAll"
Details: "Experience the magic of U2 live, outside under the stars at the Cloud Palace, known to locals as the Cow Palace. In true Dreamforce fashion, we’ll be reinventing the space for this special night. At 6 p.m., shuttle service begins to Cloud Palace. At 7 p.m., doors open. Please note that re-entry is not allowed. At 8:15 p.m., U2 hits the stage! At 10:00 p.m., Dreamfest concludes; shuttle service will be provided to Moscone West and all East Bay & Peninsula conference hotels." Details: "Party Like It's 1999! Join BOLDforce for our first annual Dreamforce networking and fundraising event — Purple Dreams. Featuring a special performance from the famous Prince cover band, The Purple Ones, along with a night of DJ'ed throwbacks.This is a great way to meet other professionals, give back, and celebrate the life of the late great Prince. Drinks and appetizers on us. Themed attire encouraged. #PurpleDreams #DF16 *All are welcome*"
Details: "Amigos, get your dancing shoes on and join Latinoforce, customers and partners for our first annual Latinoforce Fiesta! The night will be filled with delicious hot/cold appetizers, beverages and a DJ playing all the merengue, cumbia and salsa hits to dance the night away! 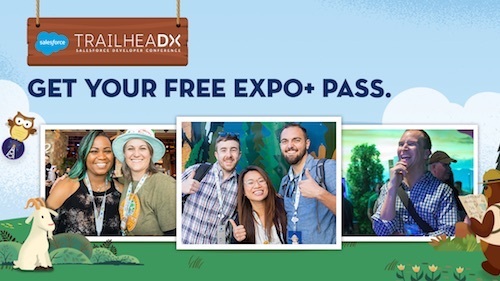 Join us and other amigos from all over the globe to celebrate a week of Dreamforce success and a few surprises. You don't want to miss it!"